Bristol-based neighbourhood café-bar operator Loungers is to float on the London Stock Exchange as it steps up its ambitious plan to grow to 500 outlets across the UK. 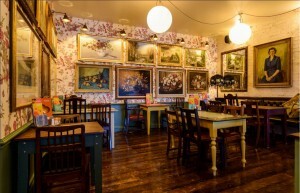 The firm, which opened its first bar in Bristol in 2002, has expanded rapidly in recent years and now has a total of 146 venues across England and Wales made up of 122 Lounge café/bars and 24 sites under its Cosy Club brand, which tend to be in city centres. Previously owned by its founders Alex Reilley, Jake Bishop and Dave Reid and other investors, it was acquired by private equity firm Lion Capital in 2016 a deal that valued it at £137m. Now it expects to list on the Stock Exchange’s AIM market next month with a reported value of up to £300m. It said the move would increase its national profile and provide new incentives for investors. It also today announced that it is set to open 25 new sites this year, with one relocation. There are also a further 13 sites where contracts have been exchanged and 35 sites in legal documentation. The group, which last year had revenues of £121.1m – up from £91.8m in 2017 – has a previously announced medium-term target of 500 outlets, giving it a venue on nearly every high street in the country. Loungers chief executive Nick Collins said: “I am delighted to announce our intention to list on AIM. It has long been the ambition of the founders and myself that Loungers becomes a listed entity. “Loungers is the only growing all-day operator of scale within the UK hospitality sector. “Our relaxed, casual, home-from-home proposition which combines coffee shop, pub and restaurant across our two complementary brands – Lounge and Cosy Club – resonates with today’s consumer, attracting broad demographic appeal in a diverse range of trading locations. “We have a growing business and clear expansion strategy to continue to rollout 25 new sites per year supported by a strong pipeline of sites and led by an experienced and committed management team. Loungers will open two outlets this week — in Street, Somerset, and Aylesbury, Buckinghamshire.